Another week of working on my Apocalypse Weird novel, working title Siren’s Call. And a very successful week it was too. 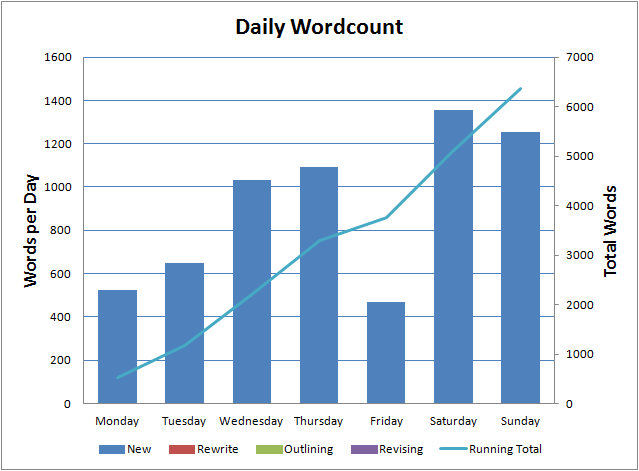 That’s a total of 6,370 words bringing my overall total at the end of the week to 36,654. One of the things that’s a little bit different about this book, compared to the ones I’ve been writing recently is that it’s very clearly set in England. In London to be exact. One of the unexpected issues I’ve run into with my writing over the last few years is what language to write in. I don’t mean English, French, Chinese or whatever, I write in English, but the question is exactly which flavour (or flavor) of English to use. I grew up in England, writing and speaking British English but about ten years ago I moved to Canada. Canadian English is, for the most part, British English but a lot of the television we watch and the books I read are from the US and use American English. The company I work for is international so emails and documents can be in American or British English, and I work with people from all around the world, all of them using their native variation of English. And it’s not just the spelling that’s different. Canadians often use US pronunciation and word choices. So Vancouver is divided into blocks, rubbish is garbage and toilets are washrooms. Punctuation and grammar rules are also subtly different. The same with idioms – “Get out while the going’s good” (UK) vs “Get out while the getting’s good”. It’s a nightmare but it’s important enough that the big publishers will often “translate” books from American to British English. That all puts me in a weird situation where I’m constantly exposed to a mix of three subtly different languages and leaves me wondering exactly which I should use when I’m writing. Especially as the biggest market for indie books is the US. Oh, and some of my stories are set in the US with American characters. The problem is, getting a particular dialect dialect right is tricky unless you’re a native and one mistake can really trip a reader up. I hit this problem recently with the novel that’s currently sitting at my editor – Glitch Mitchell and the Unseen Planet. I had my character, who is American, talking about his mum. (It should be mom). Luckily, my editor caught that one but there could easily be more issues lurking somewhere. At the moment, Siren’s Call is being written in British English (our hero currently hiding down an alley filled with rubbish) but I need to check whether it will stay that way. In the meantime, I’m enjoying writing without having to translate the words into another language. 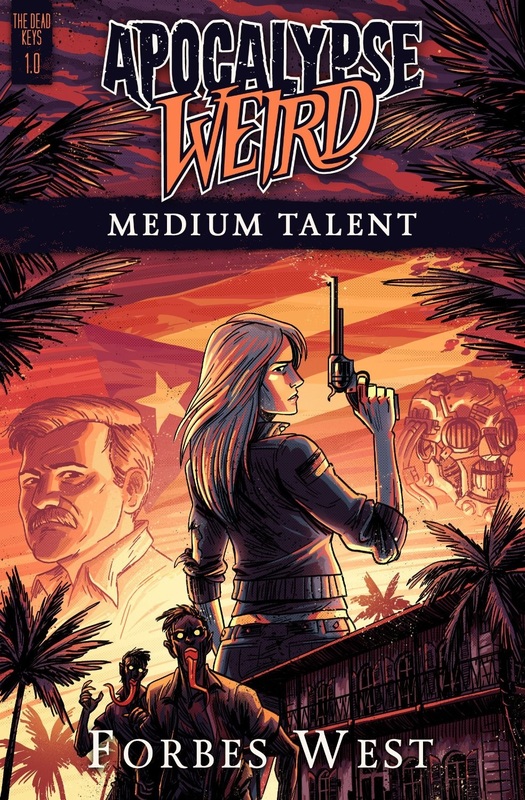 Incidentally, the latest Apocalypse Weird novel, Medium Talent from Forbes West is out now. 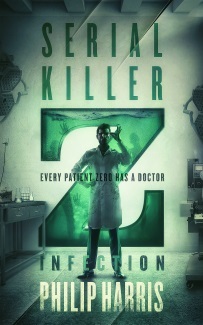 I haven’t read this one yet, but I’ve heard good things about it.